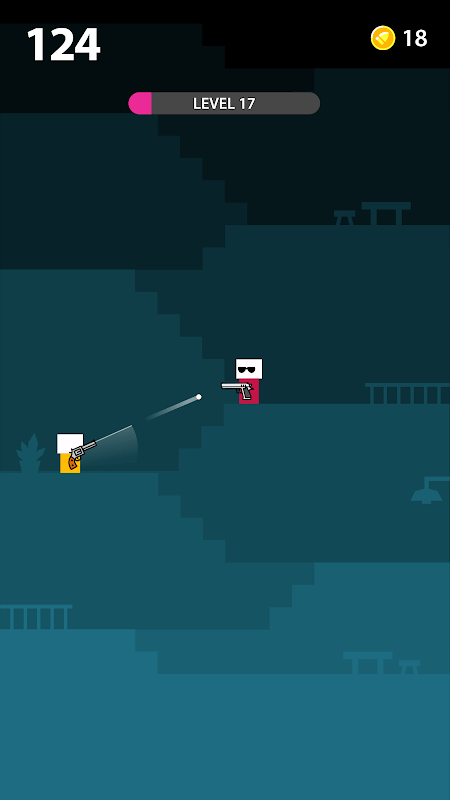 The Mr Gun game of Ketchapp will beat many other shooting games that are on the market today with its simple play. Fighting has been a human desire since they began competing for themselves. From ancient times, they fought with spears, knives or stones. In the middle ages, they used swords and shields. Today, a powerful, lightweight, and extremely powerful, and a favourite weapon is a gun. Many people want to use their own guns but it is illegal and potentially dangerous to the people around them. So some people choose to watch modern action movies with thrilling gunfights. Others have chosen to play complex games such as CrossFire, or other hot-blooded survival games, including weapons like the Ring of Elysium, Battle Royale, Rules of Survival, and more. 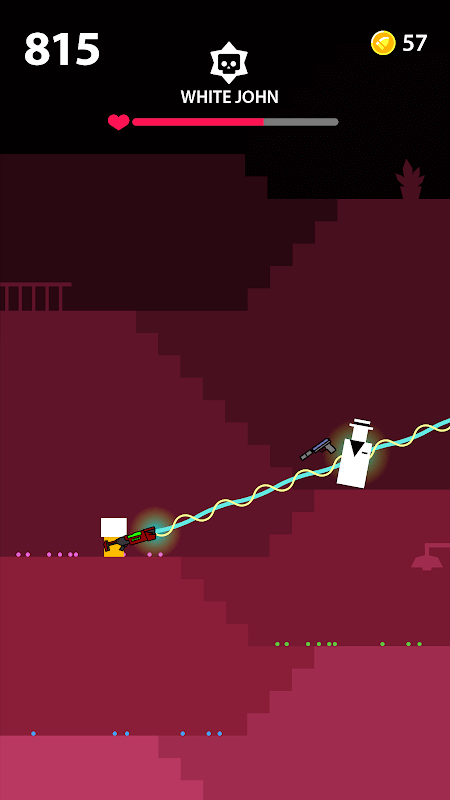 A lot of people love simple games, so they choose Agent Wonky, and the game I will introduce in this post, Mr Gun. Both are extremely lightweight games, mid-range graphics and fun gameplay. We are already familiar with Ketchapp, a mobile game publisher. With so many popular entertainment games like Knife Hit, Car vs Cops, Rush … Ketchapp has become a popular game publisher. The player plays the villain who fights with a group of heavily armed units ranging from the weakest to the most powerful. But do not worry, you will also be allowed to equip yourself with ultra-modern weapons and sturdy armour that will be able to withstand critical hits from enemies. Adjust the barrel and touch the screen to shoot. This is the only way of playing the game. But try to shoot exactly in the head to score twice. Also, you can get extra coins when shooting in the head and definitely show off your marksmanship. Extremely simple control, there will not be many buttons on the screen cause you have headaches. The game’s control system is just touching the screen to control everything. From the direction of the shot to the control of the character. An extremely important element in this game is the headshots. It gives you a great amount of money, along with high exp. However, to get a headshots phase is not a simple thing at all. You need to practice for a long time and then use your skills to get a great headshot. The game is designed as a simple 2D video game so you can quickly get to know it within 5p. Then you can become a gunner with your gun. Especially with video games like this, weapons and armour will be focused on the design. Each gun pattern will be drawn with different designs and armour as well, accompanied by special abilities. 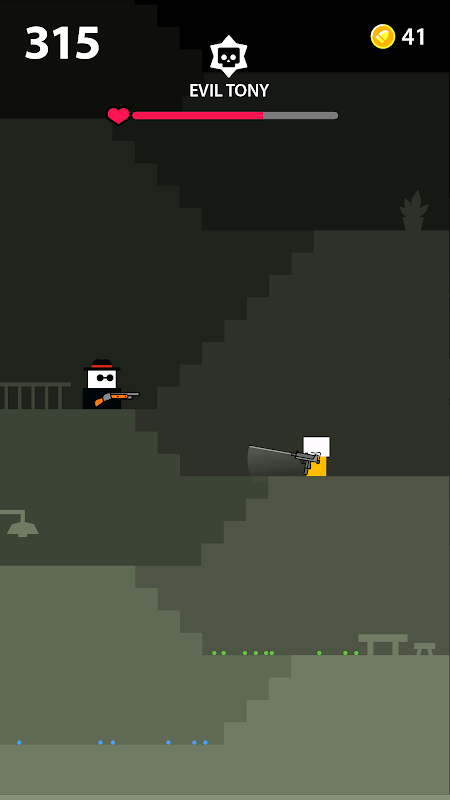 Download Mr Gun (MOD Adfree) and play. Do not upgrade your arsenal, buy new weapons in your inventory, and destroy the toughest enemies.